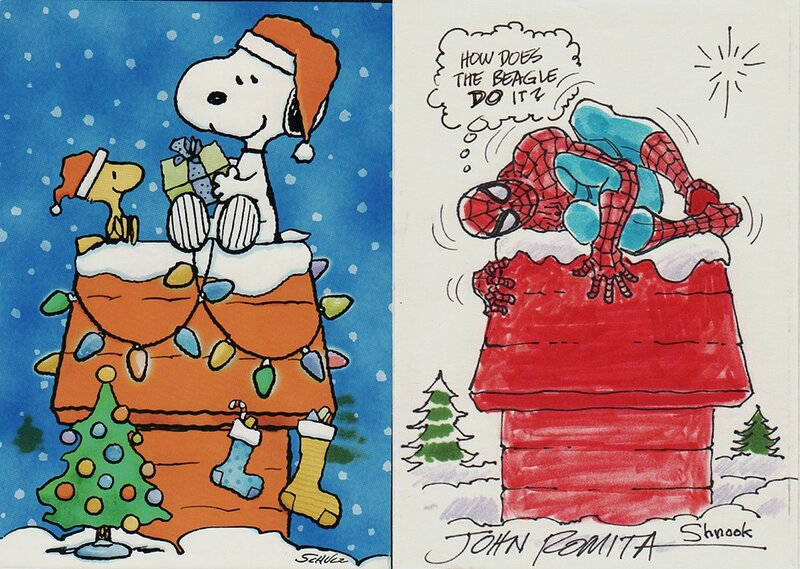 Romitaman Original Comic Book Art :: Private Collection :: Spider-Man / Snoopy Christmas Themed Hand Colored Card Artwork (2001) SOLD SOLD SOLD! by artist John Romita Sr.
Click Here To See Matted Spider-Man Pinup! Check out this very nice Spider-Man Pinup which was drawn by 1 of the greatest Spidey artists ever.......JOHN ROMITA SR! This very detailed Pinup was drawn on the INSIDE of a Snoopy Christmas card. *****PLEASE NOTE that the Snoopy / Woodstock image is not drawn artwork! 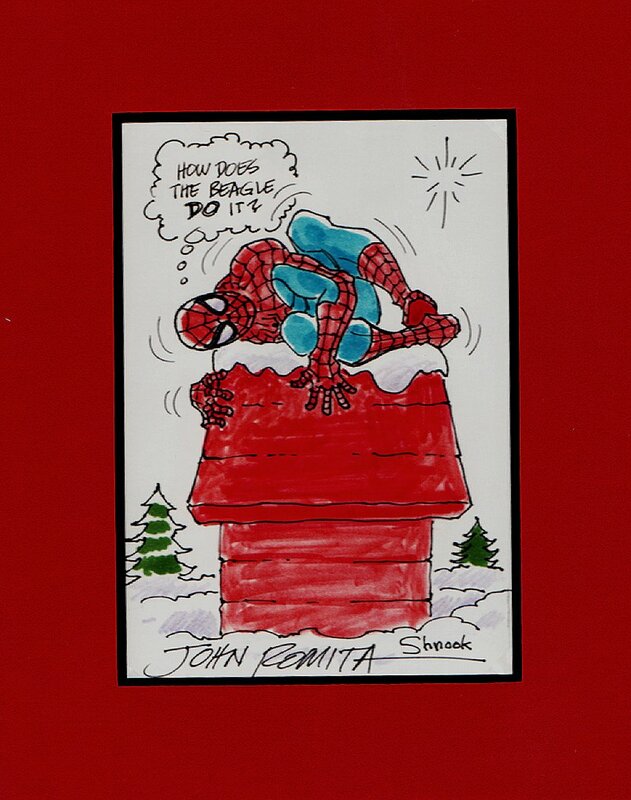 The Snoopy image is the Front of the Christmas card, and John Romita drew and hand colored the ENTIRE Spider-Man image, Snoopy dog house and the background on the inside of the card (which is on the back side of the snoopy image) The Romita Spiderman image area measures 7 by 4.75 inches, and it has been matted beautifully in a red mat, which can be seen in the extra red link above. The notes section of the card is hand signed by John Romita also and is included with the drawing! A unique and RARE John Romita hand colored Christmas themed pinup here! ******* 100% of the proceeds from this artwork here will be donated to charity!